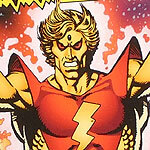 10 Old Comic Books & What They Mean To Me. | Dinosaur Dracula! We were both hunting the same thing: Cheap, unloved comic books. 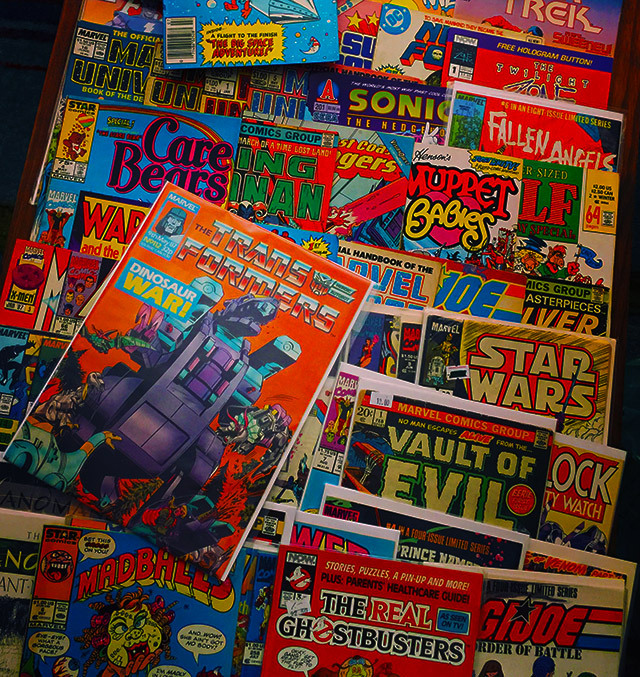 Several of the dealers had longboxes filled with wildly inexpensive comics. My best finds were from the “50 for $20” boxes, but I even saw one dealer selling 100 comics for that much. Score! I went home with 100+ issues and the sore arms to prove it. 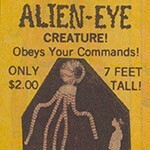 Below are ten of my favorite finds, featuring everyone from Slimer to Serpentor. When you’re done here, go check out Jay’s list to see his best grabs! 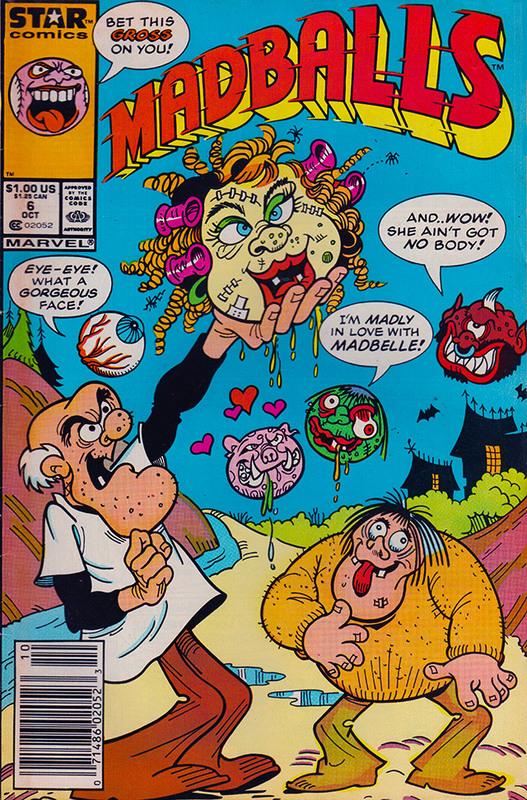 Madballs #6 introduced the lovely Madbelle, created by Dr. Frankenbeans with the hopes of driving hot-blooded Madballs into fits of jealous rage. His plan backfired, but at least we got this insanely great cover out of it. 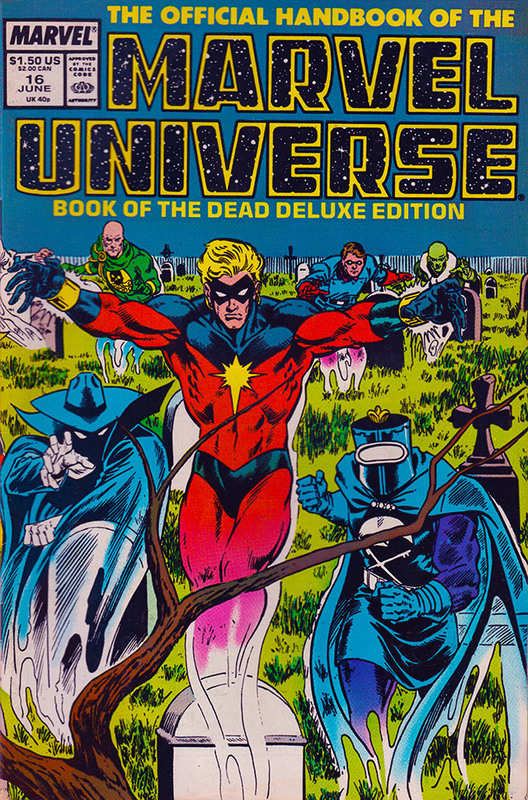 This series acted as an encyclopedia of Marvel Universe characters, and not just the important ones, either. Many character profiles were the result of deep digs, so while you of course got several pages about Spider-Man, you also got biographies of even his most forgettable enemies. I buy these books literally every time I see them. Since they most often turn up in cheap longboxes, that’s easy to do. To this day, I still read them frequently. Consider them a Cliffs Notes crash course in Marvel history. If I’m remembering things right, X-Force #1 broke sales records, ostensibly because it was a fresh concept with a killer execution, but really because it came in a bag with free trading cards. 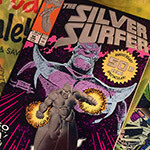 I don’t say that to be disparaging — it’s just that X-Force #1 kinda acted as the grandfather of the “gimmickry era,” when comic books were doomed if they didn’t have bas-relief covers with lenticular highlights, or exclusive cards, or at least coupons for free McMuffins. 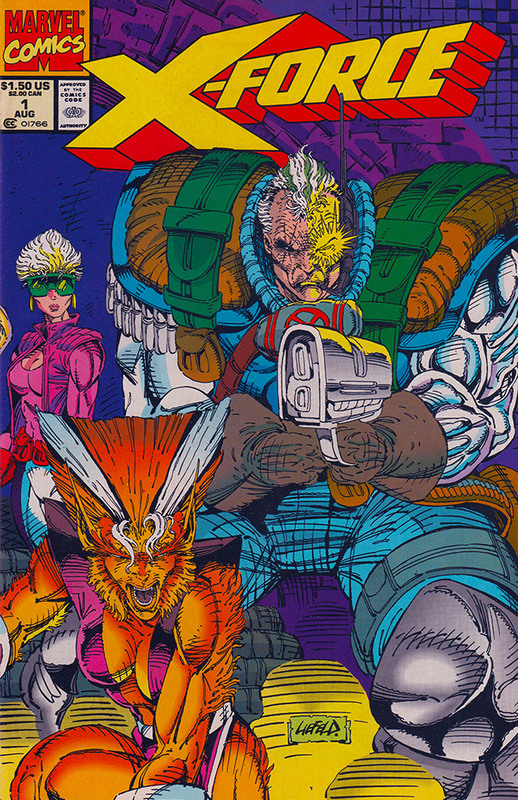 X-Force #1 hardly seems gaudy by today’s standards, but man, in the summer of ‘91? A comic in a bag? Exclusive cards? What an investment! People like me bought buy five copies and still needed a sixth before we’d let ourselves read one. Some people went for bonds, some people went for coins… me and mine went for polybagged pictures of Cable. The cool thing about G.I. Joe comics is that they weren’t just adaptations of the cartoon. It was almost like some parallel G.I. 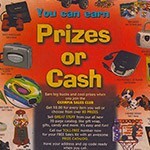 Joe universe where everybody looked the same but acted more reasonably. The stories were more inventive, and even edgier. Almost like a Rugrats / All Grown Up thing, and yeah I went there. At least, this is what I’ve gathered from internet strangers. I’ve never actually read an issue of G.I. Joe. I just buy these things for the covers. 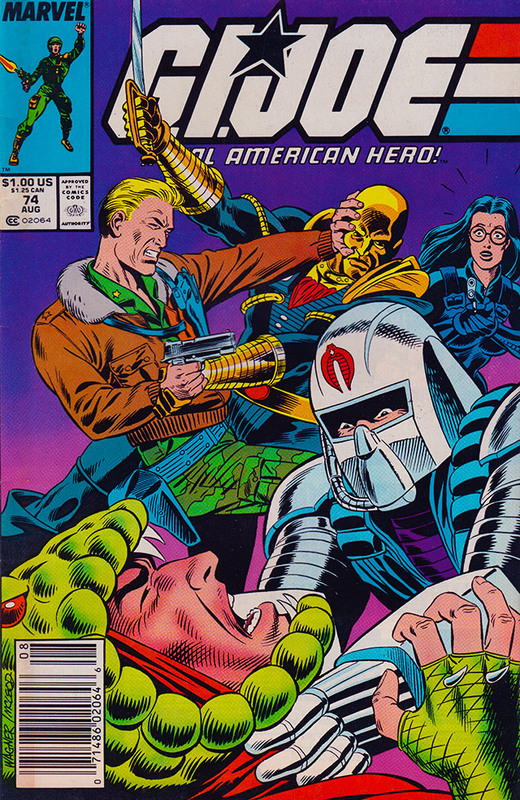 Look everyone, it’s Cobra Commander in his Centurions suit, choking an extra-green Serpentor! 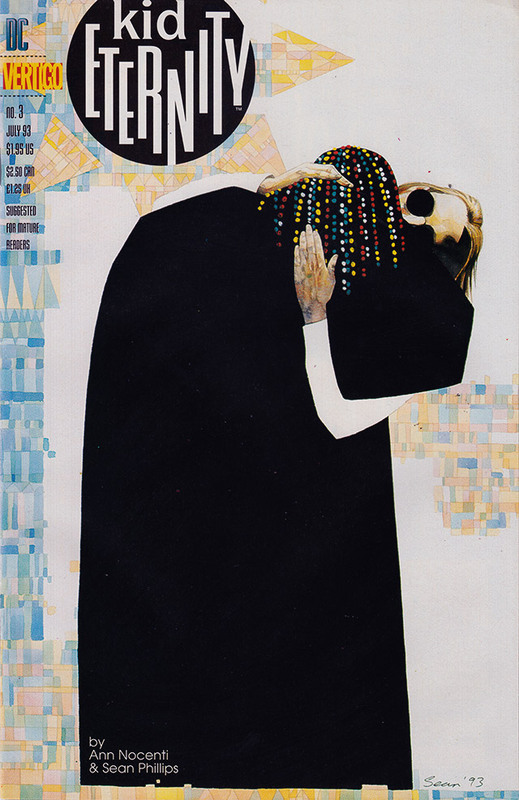 I still know nothing about Kid Eternity, but I fell in love with this one particular cover back in ‘93. 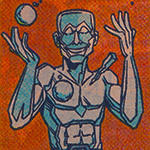 At the time, I took the character with the black coat and the Lite Brite hair to be Kid Eternity (nope), and was so impressed with the look that I borrowed “him” (again, nope) for my own line of comic books. In my stories, Kid Eternity was basically the Undertaker, but with Guile’s build and hairdo. I retained the coat and the Lite Brite hair, and because my comics were so terrible, I didn’t even bother to change the name. He lived on the moon, and his moon house looked like a giant football. 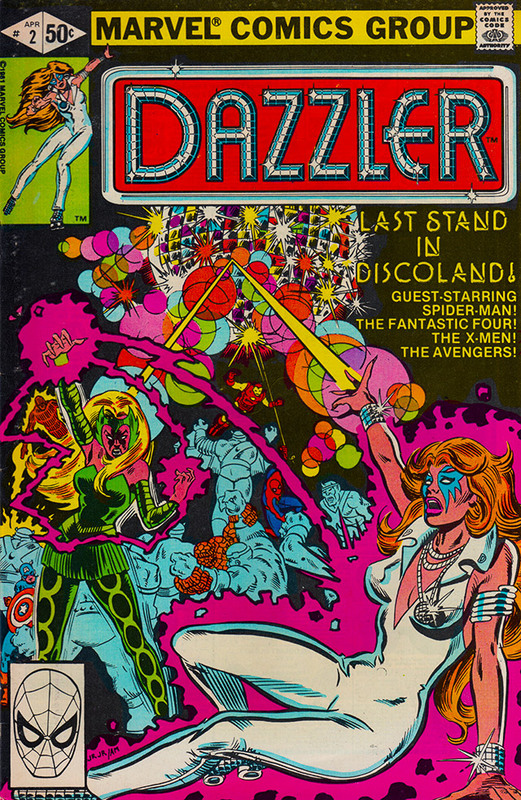 I always get a kick out of seeing Dazzler comics in these cheap longboxes. When I was visiting my first comic shops back in the late ‘80s and early ‘90s, these same comics were in the same sorts of longboxes for the exact same price. I love that I bought Dazzler #2 for 50 cents in 1991, and again for 50 cents in 2017. I honestly cannot think of any other thing that’s had as consistent a price for so long. Thanks for being my constant, Dazzler. You and your mutant fireworks. 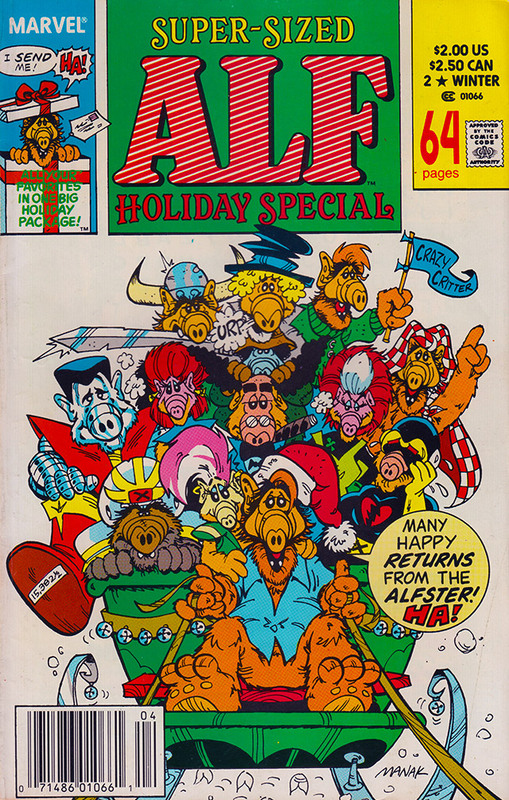 It’s double-sized, Christmas-themed, and there’s a Colossus version of ALF on the cover. No, I didn’t have to think long and hard about buying this one. 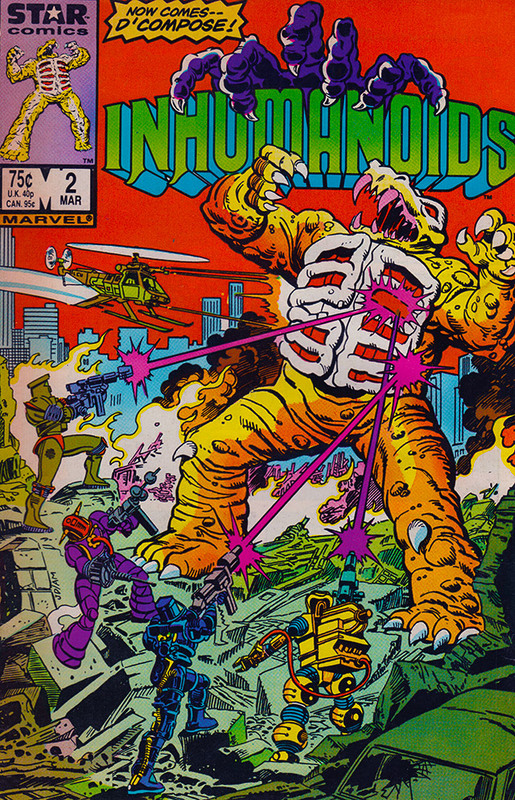 I already owned this issue of Inhumanoids, but there’s no turning down that cover no matter how many copies you have. It’s beautiful, and the fact that there’s an old Fruity Pebbles ad on the other side is just the car-sized cherry on top. 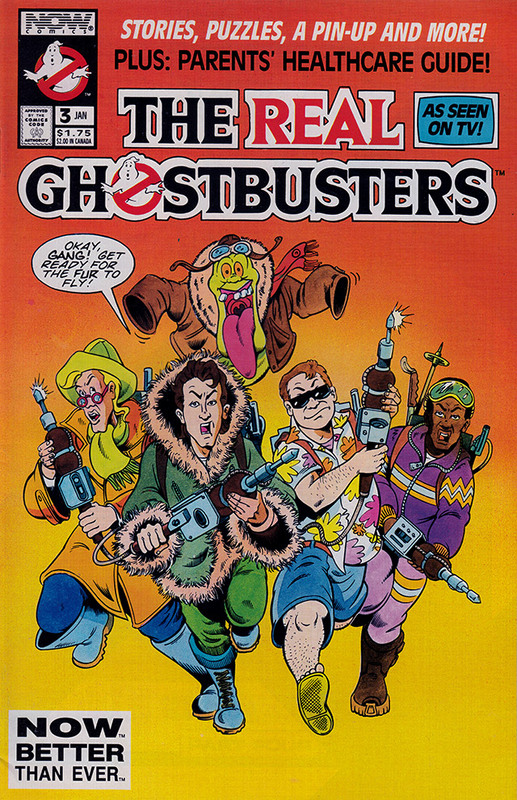 If this issue is any indication, the old Real Ghostbusters series was more of a magazine than a comic, mixing in fan art, puzzles, essays and other features. So cool! With comics, I was always a “dessert first” kind of guy. I’d gobble up any bonus features — even if they only amounted to banal questions to the editor — before eating the main course. I love that I could spend ten minutes with this issue before even starting on the comic, which judging by my three second page-through has something to do with sea dragons and missing biscuits. I can’t believe I paid so little for this! 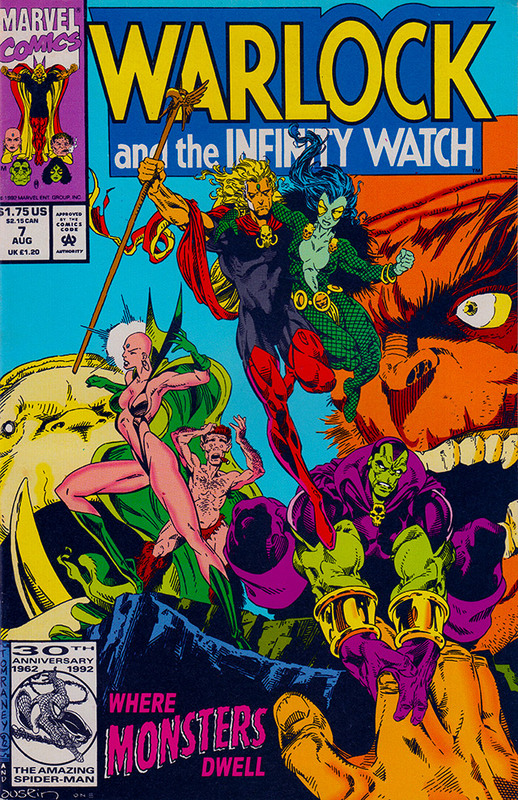 Warlock and the Infinity Watch is my all-time favorite regular comic series, mostly because it was so closely tied to several of my favorite Marvel miniseries. It was also the only comic that I subscribed to. Should anyone ever ask me if I remember “them bags with the thin pieces a codbawd,” I’ll say yes, and I’ll owe it all to Pip the Troll. Thanks for reading about old comics. Make sure you check out Jay’s finds, too! 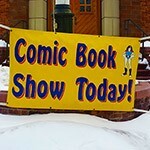 Scenes from a Comic Book Show.